Thursday was TEAM DAY at the Berger Southwest Nationals (SWN). In the Sling, F-TR, and F-Open classes, dozens of 4-person teams shot under coaches at 800, 900, and 1000 yards. The key difference between the team game and individual competition is that (for the most part) shooters function as trigger pullers only. Wind and elevation calls are typically made by the coaches, who sometimes even dial clicks for the shooters. In the above photo Bryan Litz is just about to click his shooter’s elevation turret. This year the Scottish Thistle Team won the Sling division, lead by a strong 449-27X performance by Angus McLeod. The Hayes Rays of Sunshine Team finished second, six points back. In the highly competitive F-TR class, North by Southwest took the team title, with Da Bulls in second. In the F-Open class, the Cluster Ducks (clever name) took the win, edging out second place The Longshots by a single point. Third in F-Open was Tex-Mex #1. Kudos to AccurateShooter’s own Jay Christopherson, our site systems manager, who lead 4th Place Team Lapua/Brux with a strong 448-25X. Jay keeps our servers running smoothly — and he’s a great shooter in his own right. Here’s Team Krieger (foreground) getting ready on the 1000-yard line. 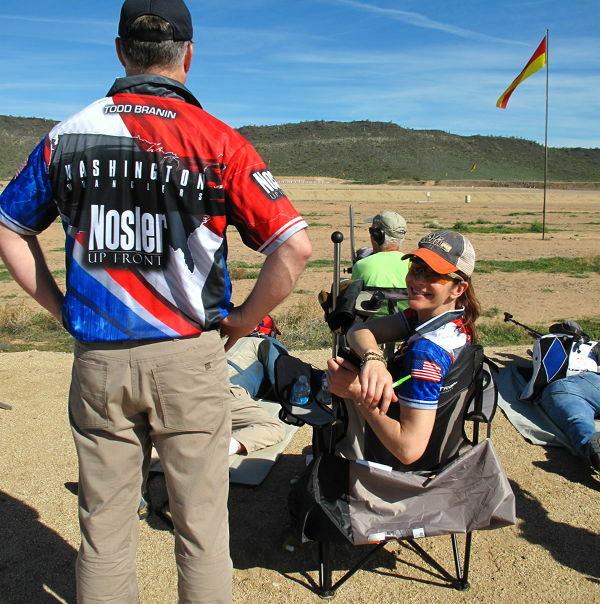 Anette Wachter (in chair) shot a 450-36X in the Team Match — not dropping a single point. Outstanding! NEW F-OPEN TEAM Record: The Cluster Ducks set a new National Team Record for 800/900/1000 yards with their 1789-100X Score. In fact, the second-place Longshots also broke the previous 1786-104X record, set by Team Grizzly in 2014. Because the Cluster Ducks edged The Longshots by one point the Ducks will go down in the record books. But both teams can rightfully say they broke the then-current 1786-point F-Open record. Well done shooters! 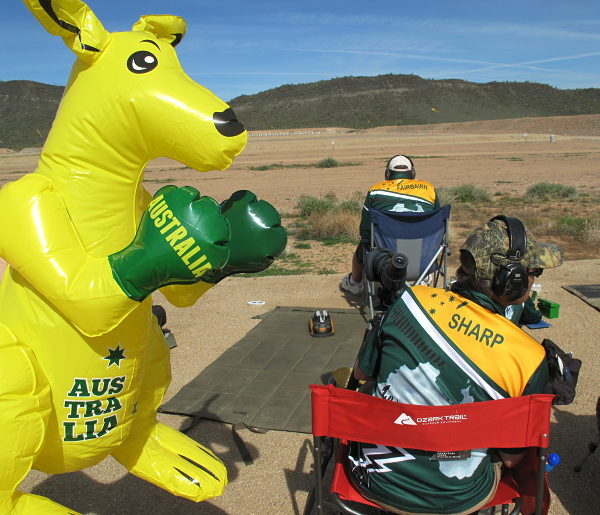 Team Thunder-Struck from the Land Down Under brought along an inflatable mascot. 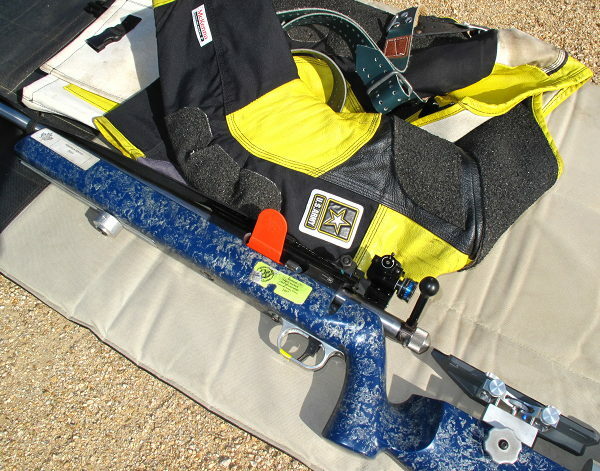 Christine Harris was shooting a new prototype Eliseo F-Class stock with a two-part barrel block. This is similar to the Eliseo F1 stock but the bolt-together barrel block allows easier exchange of barreled actions. 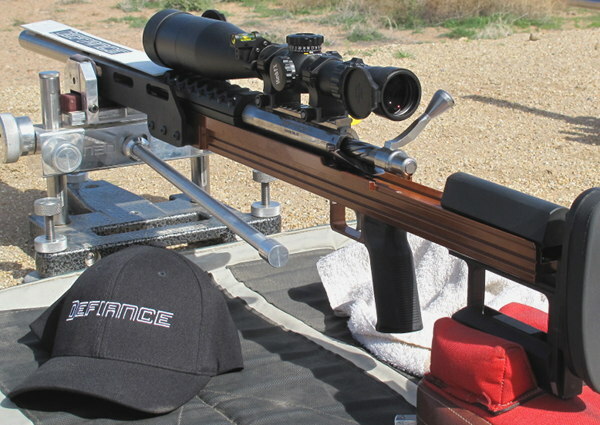 Cerus Rifleworks showed us a jaw-dropping new F-Open rifle. This is an amazing combination of beauty and advanced performance. The CNC-milled stock is stiff and straight, with tolerances that put most wood stocks to shame. 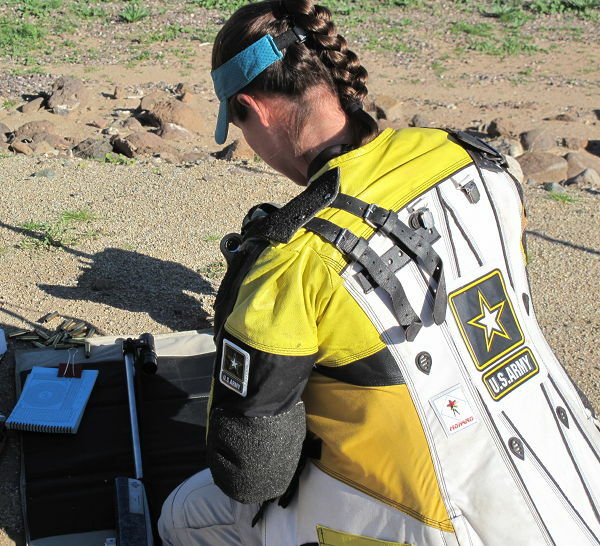 This Monard shooting coat belongs to SSG Amanda Elsenboss, a shooter with the USAMU Team. 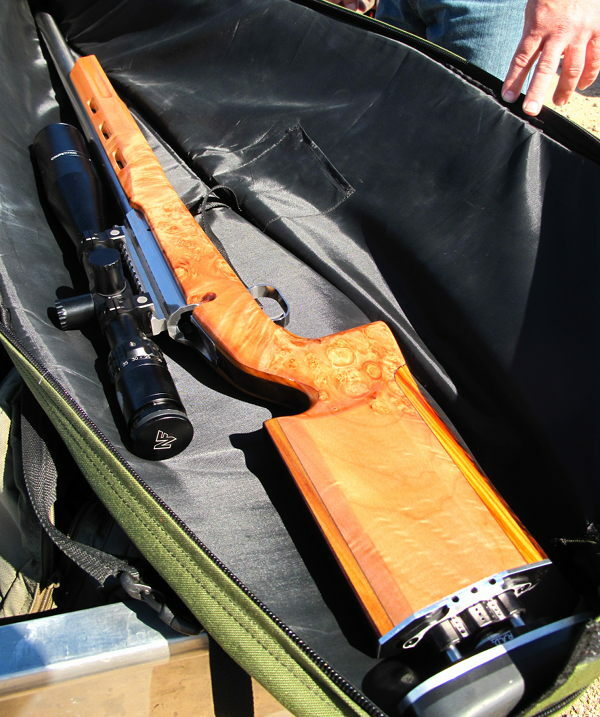 The rifle features a Barnard action in what appears to be a classic Robertston Composites H&H-style prone stock. Nice hardware for a talented lady soldier. We saw many SEB Joy-Pods on the front end of F-TR rifles. 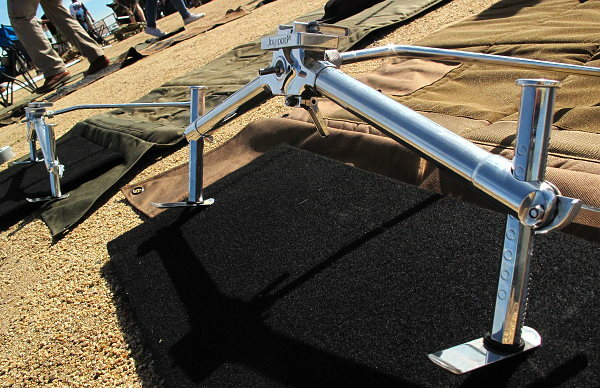 These light-weight bipods offer quick and easy aiming via a joystick-controlled coaxial head. The large flat feet allow the rifle to move back smoothly on recoil, and then slide right back on target. This cart has seen countless matches over the years. 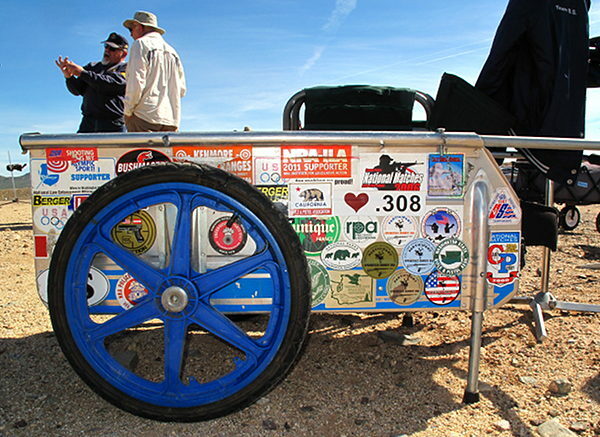 Those stickers are markers in time, recording decades of shooting matches in many venues. How many stickers can you identify? The stories this old spotting scope could tell — how many targets has it seen over the years? 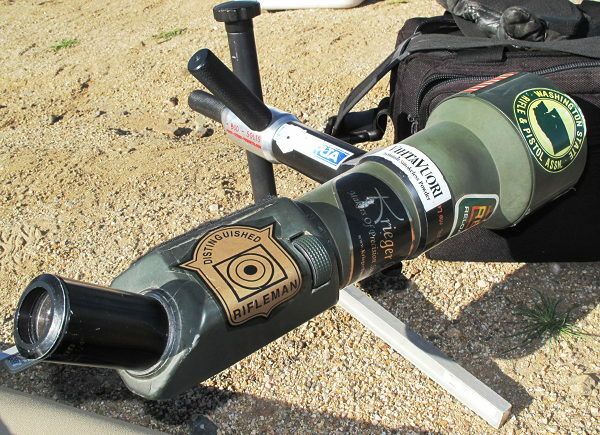 The most important sticker, “Distinguished Rifleman”, bears witness to its owner’s skill and commitment to the sport. 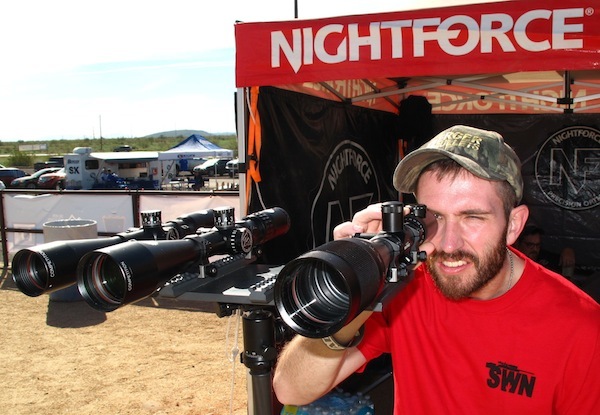 Nightforce, a major sponsor of the Berger SW Nationals, had a variety of scopes mounted on viewing rigs. You could quickly compare one scope vs. another. 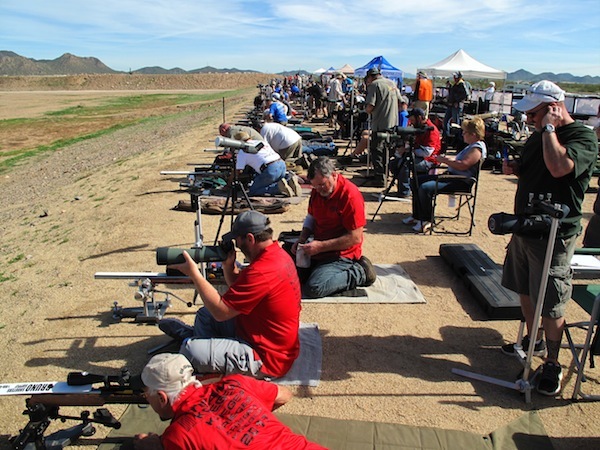 We’d like to see more optics makers demo their scopes at major matches. 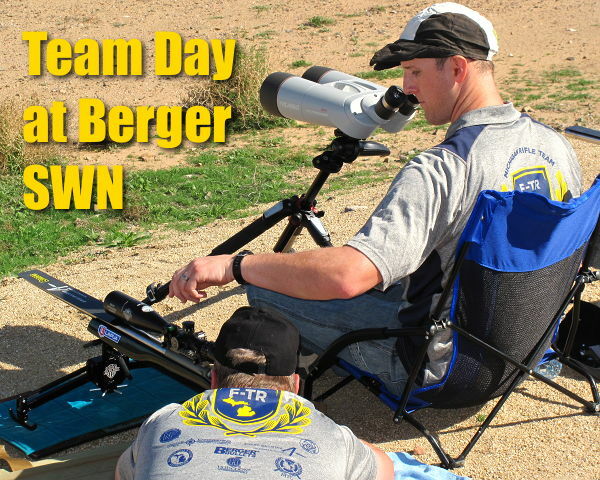 Share the post "Team Match Day at the Berger Southwest Nationals"